Dr Tamsyn Van Rheenen, from the Melbourne Neuropsychiatry Centre, Department of Psychiatry was highly commended for mental health research. 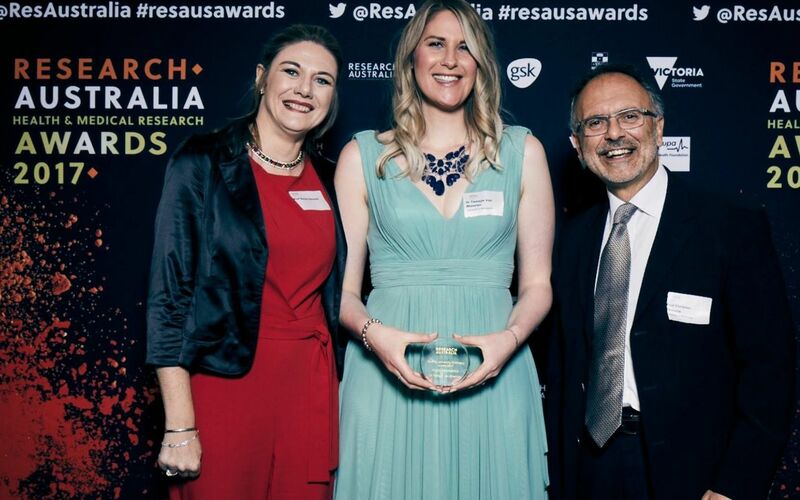 Early Career Research Fellow, Dr Tamsyn Van Rheenen (pictured with Professors Susan Rossell and Christos Pantelis) was highly commended in the 2017 Research Australia Health and Medical Research Award for her work investigating cognition in people with schizophrenia and bipolar disorder. Tamsyn’s research has helped to define a neuropsychological profile for bipolar disorder, and enabled comparisons and integration of cognitive data across bipolar disorder and schizophrenia.